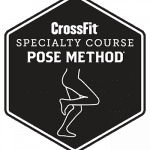 This two-day course covers the fundamentals of correct running technique in a lecture setting, with practical application following as participants and coaches practice and perform the Pose Method. Drills and exercises are repeated until the student has an understanding of how to learn and teach running technique safely and effectively to anyone at any level. Flexibility and mobility routines for runners are introduced on the second day of the course. Participants will learn to apply the principles in training themselves and others to increase running-specific strength, agility and perception – all of which improve running performance.